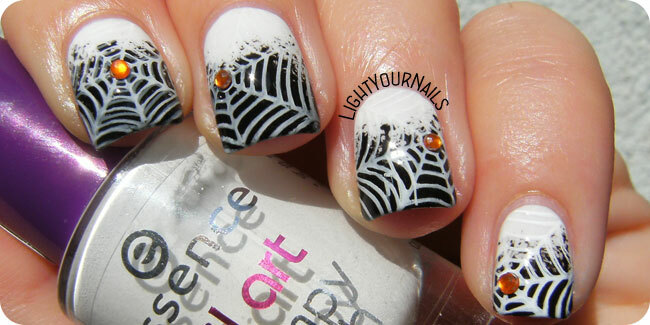 HPB Presents: Halloween spiderwebs nail art | Light Your Nails! Really like that white you added on top, makes it unique! Fun looking nail art and I like that you added the rhinestones. These might be my fave spider web nails of the season! This is so cool! I love how the web fades into the white! Those orange gems really make this mani special! This looks really cool, I like the gradation from black to white along with the spiderwebs! I like spider webs because I'm not a huge Halloween fan but this helps show my holiday spirit. My house would look like a perfect Halloween party place. All year long though! Beautiful! I love the way these spiderwebs are just so classy and fun! Love your spider webs with the studs that you've used. The added white is so interesting. It looks great. 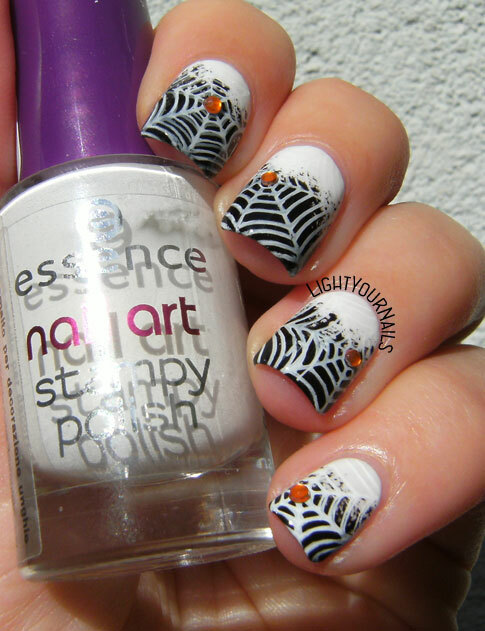 I like these :) Dainty Halloween nails! I think the double stamp on the first nail looks good, gives it some extra spooky depth! Pensavo che il double stamping era voluto! :) Mi piace!!! Le unghie giuste per Halloween!